Bolivia has become the latest country to kick the Rothschild banks out of their country, with President Evo Morales announcing that Bolivia will no longer respond to pressure or financial blackmail from the US government or Rothschild-controlled international banking institutions. The International Monetary Fund (IMF) and US-dominated World Bank have been major players in the global economic landscape ever since their creation in 1944. These international banking organizations, which are privately controlled by the notorious Rothschild banking family, first pressure nations to deregulate their financial sector, allowing private banks to loot their economies. Bolivia have become the first South American country to grow wise to the ruse. They have worked hard to gain financial independence and are now in the process of kicking the Rothschild controlled banks out of their country. Before Evo Morales assumed the office of president, Bolivia was suffering from the effects of IMF/World Bank-imposed austerity and privatization that exploited its people and resources. It was also South America's poorest nation. Though the Bolivian people, through strong showings of popular resistance over a period of years, were able to stop some of the worst privatization efforts – particularly the privatization of the nation's water supply, many of the shackles imposed by these Rothschild-controlled institutions remained. Morales, who became Bolivia's 80th president in 2006, was the first president to come from Bolivia's majority indigenous Aymara population and has since focused on poverty reduction and combating the influence of the United States and multinational corporations in Bolivia. Ten years later, Morales, a Democratic socialist, has managed to transform Bolivia into the fastest growing South American economy all while maintaining a balanced budget and slashing its once-crippling government debt. Bolivia's newfound economic independence has now empowered Morales to reject the very same institutions that once preyed upon his country. Just a few weeks ago, Morales announced that Bolivia will no longer respond to the demands or blackmail of the United States, the World Bank, or the IMF. During a visit to Tarija in Southern Bolivia, Morales said “Before, in order to obtain credit from the IMF, we were forced to give up a part of our country, but we have liberated ourselves economically and politically and we are no longer dependent on other countries or institutions.” Morales praised social movements and the people's unity for the country's ability to resist and reject privatization and foreign influence. However, Bolivia has done much more under Morales' leadership than ban international banking cartels from operating within it borders. Bolivia has kicked out numerous multi-corporations since Morales took office, including McDonalds and Coca Cola, while also refusing to cooperate with the US' disastrous War on Drugs. It is also devotes 14% of its national budget to education, the second most of any country in South America. In contrast, only 1.7% of the national budget goes to education in the US. Morales also forced foreign oil and gas companies to pay an astounding 82% of its profits to the Bolivian government, which is used to fund a variety of popular social programs benefiting the poor. Poverty in Bolivia has dropped significantly as a result. Bolivia's transformation under Morales proves that any nation, no matter how impoverished, can throw off the shackles imposed by international bankers and return the power to the people. The Central Bank of Bolivia (BCB) informs users of external sector statistics that the Balance of Payments and International Investment Position figures, compiled with the methodological framework of the VI Balance of Payments Manual and International Investment Position, Will be available on the BCB website starting Monday, November 21, 2016. On that date, the BCB authorities will hold a press conference explaining the main changes involved in implementing the VI Manual. The interested public is invited to participate in this conference on Floor 27, at 10:00 a.m. The application of this methodological framework allows the country to continue strengthening the process of compilation, dissemination and statistical harmonization. It also ensures high levels of quality at the international level in the compilation of external statistics. La Paz, November 20, 2016. 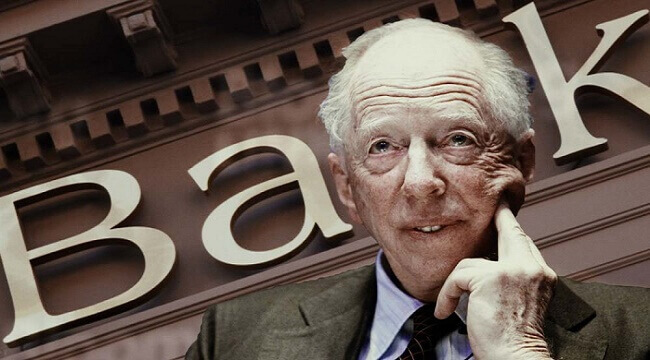 Russia Issues International Arrest Warrant For Rothschild And Soros!